So the fan switch was on the left of the image and had a ground wire and 2 black wires. A common hot wire going to both switches. That is not always the case, because you could have two different circuits, one for each switch. But more typical is what you have - power for the 2 switches coming in together (possibly chained to the GFCI outlet you mentioned, but can't tell for sure - and it doesn't really matter unless there is a problem). Each switch then has a single wire going to a device (light or fan). Those wires are switched hot. Each device then has another wire coming back - that should be the white neutrals you see wire nutted together in the back of the box. When switches are simple single-pole switches, they are normally marked (different color screws) for hot vs. switched hot, but it doesn't matter. However, for a timer or motion sensor hot vs. switched hot is critical. In addition, many timers and motion sensors and other fancy switches need to connect to a neutral. Fortunately, you have the neutrals easily accessible - just pigtail into the bundle that is already there. Identify the hot and the 2 switched hot wires. That should be easy if you remember which wire is which - if not, you can (carefully!) turn on the circuit and check with a tester to see which of the black wires is hot. Connect (wire nut) the hot wire to 2 new short pieces of black wire (pigtails) and connect one to the hot screw on each new switch. If a switch comes with a pigtail attached instead of a screw, you can use that. Connect each switched hot to the switched screw on a new switch. Connect neutrals to the new switches using pigtails. Connect all grounds together, including screwing ground wires into the new switches as needed. That should get everything up & running. Not the answer you're looking for? Browse other questions tagged bathroom switch gfci or ask your own question. 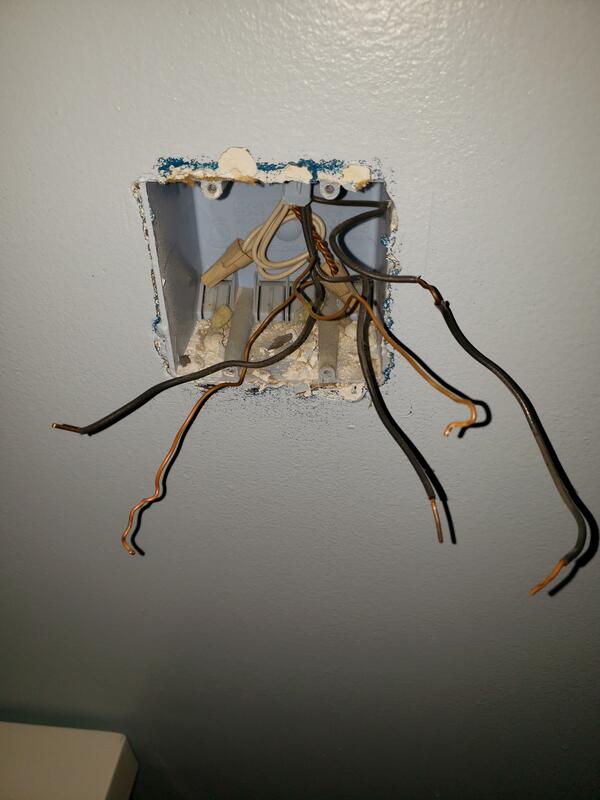 How can I wire my bathroom light and fan?